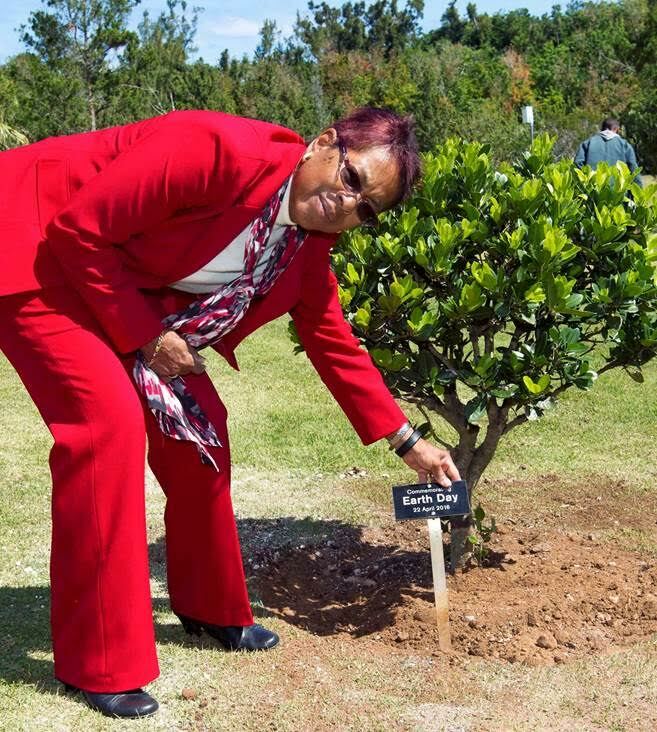 Health, Seniors and Environment Minister Jeanne Atherden today [April 22] planted an Olivewood tree in the Arboretum in commemoration of Earth Day. Earth Day is an annual event, celebrated on April 22, and events worldwide are held to demonstrate support for environmental protection. It was first celebrated in 1970, and is now recognised in more than 192 countries each year. This year’s theme is ‘Trees for Earth’. 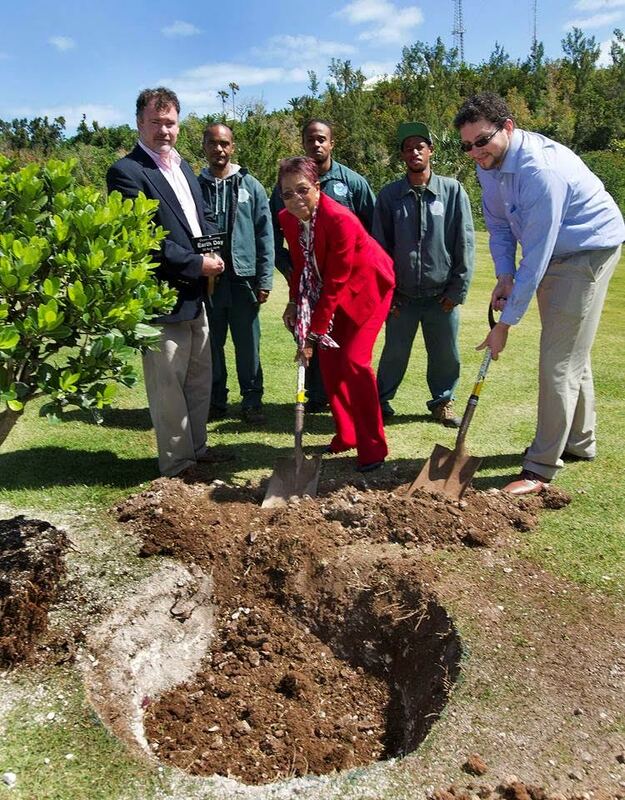 The Minister was joined by the Executive Director of Greenrock Jonathan Starling, as well as Mr. Andrew Pettit, Director, Department of Environment and Natural Resources and members of the Department of Parks. Question: Don’t worry. This is just proof of how the economy is booming under the PLP. Mark: Wow - a Pee El Pee'r dumber than OJ. Who would have thought.